As the global demand for seafood booms, major food retailers are promising that soon all of the fresh, frozen, farmed and wild seafood that they sell will come from sustainable sources. However, finding such sustainable sources to satisfy the global appetite for seafood is easier said than done. While many of the sustainability standards have been met by commercial fisheries in the developed world, a major challenge exists in fisheries overseen by developing nations, which account for about half of all seafood entering the international market. Unfortunately, only 7 percent of the fisheries that have been fully certified by the Marine Stewardship Council for meeting sustainability standards are developing-nation fisheries. An alternative mechanism for achieving both sustainability and increased seafood supply has been developed in the form of Fishery Improvement Projects, which aim to get fisheries on a path to sustainability and potentially certification by the MSC. These improvement projects are partnerships between fishermen and firms up and down the international seafood supply chain. They are designed to offer developing-country fisheries access to the lucrative international export market in exchange for promises to improve sustainable fishing practices. “It is hoped that the projects will protect marine life and ecosystems in areas where local and national governments have not acted to oversee sustainable practices, while also satisfying the demand for sustainable seafood,” said Gabriel Sampson, UC Davis graduate student and lead author of the study. In many cases, however, the fisheries are obtaining access to the international seafood markets without following through to make the required improvements in sustainability. 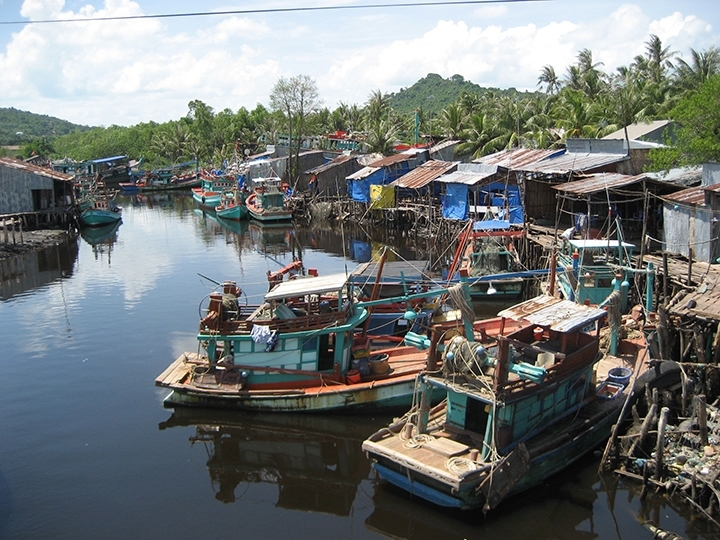 In a May 1 policy forum titled “Secure Sustainable Seafood from Developing Countries” in the journal Science, Sampson and colleagues conclude that Fishery Improvement Projects need to be fine tuned to ensure that fisheries are delivering on their promises for sustainability improvements. The related abstract and podcast are available online. Such sustainable fishery management reforms should include data collection and ongoing monitoring, strengthening harvest and access rights to the resources, limits on the catch, and instituting traceability throughout the supply chain, the researchers say. They predict that if access to the fisheries is not better regulated, the current efforts by retailers to secure sustainable, wild-caught seafood could stimulate a “race to fish,” and those fisheries with full sustainability certification could find themselves at a competitive disadvantage compared to the fisheries that have been fast-tracked into the international market without having first made sustainability improvements. And that could trigger a “race to the bottom” in terms of sustainable seafood fishing practices, they say. “The retailers and organizations involved with managing fishery improvement projects need to insist on progress toward reforms from the fishery as a condition for purchasing seafood from that fishery,” said James Sanchirico, a faculty member with the UC Agriculture and Natural Resources Ag Experiment Station, UC Davis professor and associate director of the UC Davis Coastal and Marine Sciences Institute. “This would likely lead to more durable conservation and greater assurance for consumers that marketing claims of ‘sustainable' seafood are valid,” he said.